If you think your front or backyard gate might be past the point of needing a simple repair, it might be time to give have it repaired or replaced completely with a new upgrade. When considering what type of gate to have next, it can be very important to weigh up your options and pick the designs that best suit your preferences and daily needs. The two most widely used types of gate are swing and sliding. Swing gates are very traditional, attractive and simple. They are typically made from iron and wood and can vary greatly in size and weight. You need a certain level of open space to operate large and wide driveway swing gates. The most common types of repair needed on a swing gate are usually hinge repair and post alignment. It is common for large driveway swing gates to have one single post that supports the entire frame. The post must be positioned correctly and perfectly balanced to prevent increased long term strain on other component. Sliding gates are incredibly popular and widely used. They are very practical as they don't require free space to maneuver like a swing gate. You can have a very large sliding gate made from panels that roll up very efficiently when opened. If there is an accident, and a few panels are damaged, they can be fixed or replaced individually. Sliding gates require a track to guide the gate as it moves from side to side. This track is usually imbedded into the ground. 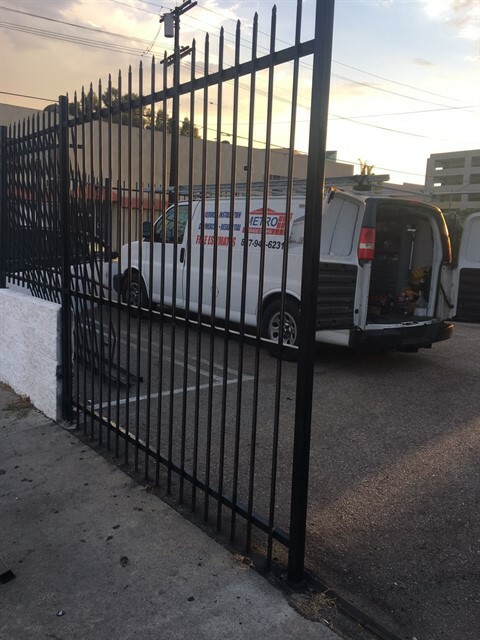 Track maintenance and replacement is one of the most common gate repair services we provide. Keeping the track in prime condition is essential to ensuring a sliding gate functions smoothly. Whatever design you go with, it is possible to extend the working life of your new gate by ensuring it is installed perfectly, maintained regularly and is well suited to your circumstances. Garage Door Repair Auburn can ensure any design of driveway or garden gate is properly installed and fitted to last through the seasons. We can provide expert gate repair, replacement parts, hinge repair and welding. Call us today for more information or to quickly and easily arrange a call out.